A report released on Tuesday and put together by TD Bank’s deputy chief economist finds that wages for Canadian workers have grown at roughly the same pace in all major occupational groupings and skill levels, and the number of high skilled jobs has increased at the expense of low-skilled and medium-skilled jobs. The findings suggest either that the skills mismatch that has resulted in a severe shortage of workers skilled in the trades has existed for longer than a decade, and has not gotten any worse in the intervening time, or that immigration is increasing the number of skilled tradespeople in Canada at the same pace as demand for trades labour is increasing, or a combination of these two factors. 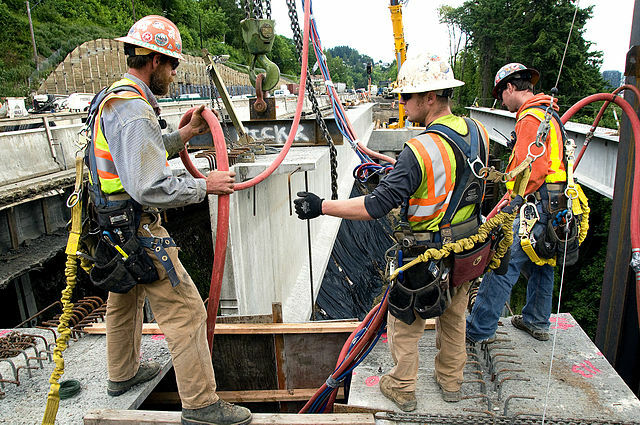 Unlike in the U.S., wages for medium-skilled workers in Canada have grown at nearly the same rate as those of highly skilled workers, a result that the report attributes to expansion of the energy, mining and construction sectors, which increase demand for well-paid medium skilled jobs. The report finds that high-skilled jobs increased their share of total employment from 33.4 percent in 1999 to 36.3 percent in 2010, while the employment share of medium and low skilled jobs has declined from 57.3 and 9.3 percent to 54.6 and 9.1 percent over the same period, respectively. Report author Derek Burleton calls the findings a refutation of common wisdom that wages between high skilled and medium-skilled workers and between tradespeople and other workers are diverging, and proposes more research be done on Canadian labour trends to increase understanding and avoid misconceptions.